Projects — Art. At Work. We energized the common spaces by selecting fresh, vibrant work from local and national artists. 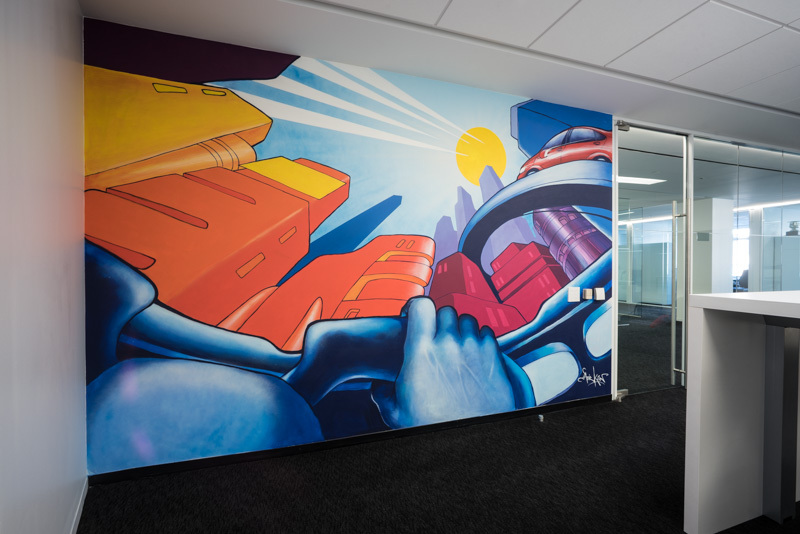 Working in collaboration with the architect and client to tell Toyota's brand story through artifacts, existing content, and commissioned artwork. Inventoried Intelsat’s large collection of existing artwork, original iconic photographs and historic documents, and multi-media artifacts from around the world. Working in close collaboration with the client, we culled through photography archives to uncover and select the most relevant images that represented their complex brand. Upon the final transformation of the APA’s rooftop area into a full urban retreat, AAW was brought in to complete the space with artwork that brought together the organic and urban feel of the space. "When someone has the passion for what they do, it shows not only in the results they achieve but in the experience one goes through working on the project. Judy makes the experience great and her eye/knowledge of art are second to none. "